I am a high school English teacher and the married father of three boys. My first trip to Disney World was as a child in 1984. After several trips to Disneyland in my teens and early 20’s, I finally returned to Disney World in 2004, when my wife and I spent our honeymoon in the most magical place on earth. Since then, we’ve taken regular trips to Disney World and Disneyland, and we are always excitedly planning our next trip. My Disney vacation starts when I begin planning, so, needless to say, I look forward to helping you plan your family’s special trip! 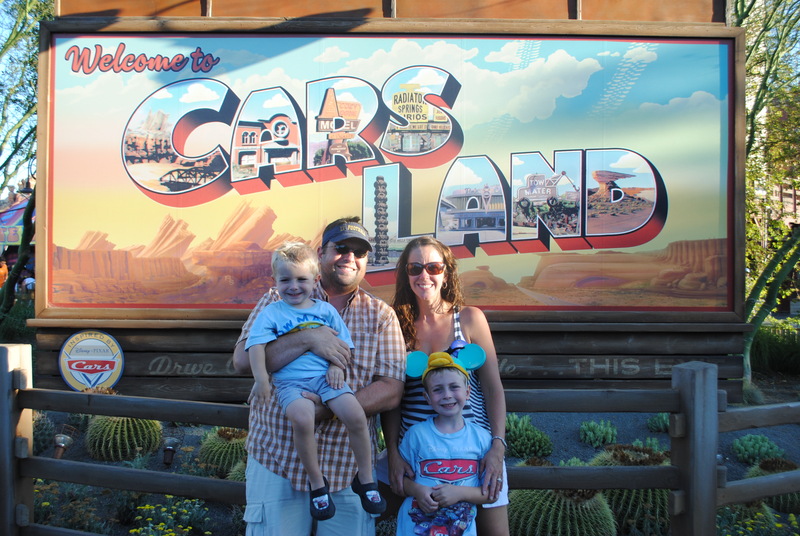 My Family – My wife, Theresa, is also a teacher and a Disney fan and we are raising three young Disney fanatics, Luke, Nick and Zack. We also like vacationing with our extended family and have taken trips with as many as 15 relatives; those experiences definitely helped us work with large groups with varying interests. Favorite Resort – My favorite resort is Port Orleans – Riverside. A walk through the picturesque grounds or a quiet boat ride on the river that runs through the resort offers a relaxing break from the excitement of the theme parks. Favorite Counter Service Restaurant – Flame Tree Barbeque in Animal Kingdom is a quick service meal that will make you rethink everything you thought you knew about theme park dining (although that’s par for the course at Disney!). Outdoor dining under a canopy that looks out on Expedition Everest in the distance completes the experience. Favorite Tip – Getting to the park when it opens (known in Disneyspeak as Rope Drop) can buy you invaluable time in the parks when crowds are lighter and lines are shorter. Then you can go back to your resort in the afternoon to relax and take a dip in the pool! Planning a successful Disney vacation doesn’t have to be a daunting task, especially if I do it with you. I love when I can help a family make their vacation dreams become a reality, so I hope to hear from you soon!